Carlton Tower Hotel, a four star Hotel in Dubai, United Arab Emirates, with multi cuisine restaurants and ambience that will tingle your senses serving the best in Greek, Russian, Lebanese, Iranian, Indian and continental dishes. Carlton Tower Hotel has the distinction of being one of the first to light the Deira Creek, with its first property in 1977, inaugurated by the late HH Sheikh Rashid Bin Saeed Al Maktoum. The amenities at Carlton Tower Hotel are continually upgraded to ensure that only the best services and facilities are offered, whether you visit Dubai for business or pleasure. 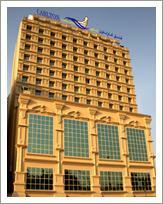 Carlton Tower Hotel is conveniently located in the heart of Dubai's main business and shopping area. It is 10 minutes from Dubai International Airport, 5 minutes from the City Center, 15 minutes from the World Trade Center, 20 minutes from Jumeirah Beach. 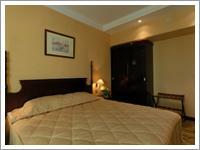 Carlton Tower Hotel has 157 spacious rooms with 18 Junior Suites, 1 executive suite and 138 Deluxe Rooms. 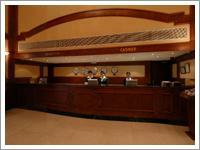 The Carlton Tower Hotel offers the best of business and leisure facilities in its class. "Breath Taking view" - This phrase would be apt for describing the rooms at Carlton Tower Hotel. 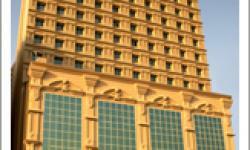 The Hotel has rooms that overlook the fascinating Dubai creek, as well as the busy atmosphere of the city. They are spacious and bright and each floor has its own unique décor and furniture, ideally designed to endow the room with rich ambience. 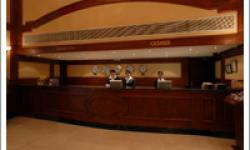 Everything is done to ensure the best condition for the guest's stay. All rooms are fully equipped with individually controlled air conditioning, direct dial telephone, satellite television, Safe deposit box, mini bar and hair dryer, telephone in the bathroom, which contains a bathtub and shower. Internet connection is available in all the rooms at an additional cost. Guests can use this facility at leisure for surfing the net or business communication.